Virgos are intelligent and energetic. They can channel creative energy into all endeavors and are natural communicators. With a two-tone Rafaelian gold and silver finish, this expandable zodiac bangle is the perfect personal gift. 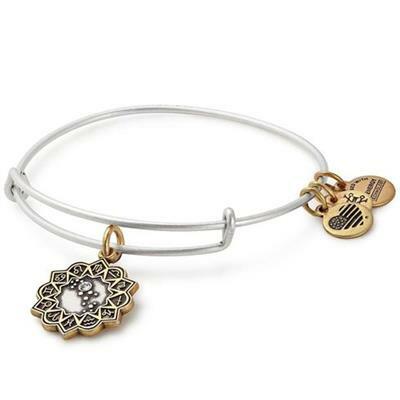 This bangle comes packaged in an Alex and Ani box.